WITH MARCH WINDING DOWN AND THE WEATHER WARMING UP, SUMMER IS JUST AROUND THE CORNER. And with summer comes BBQ season — Dirtybird BBQ season that is. 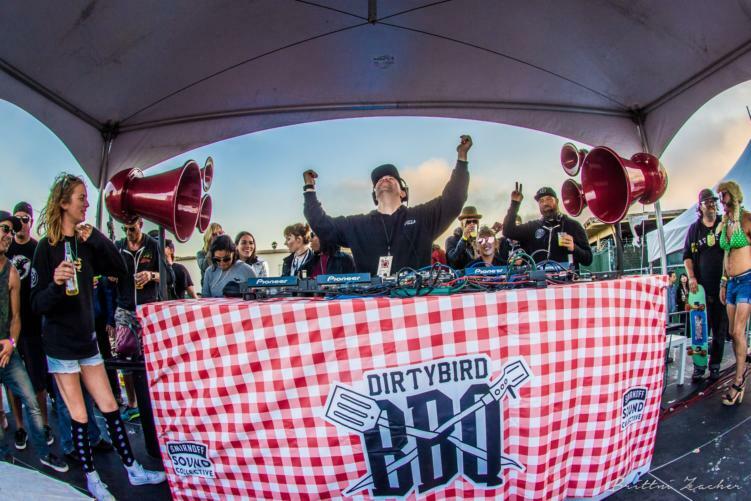 Recently announced last week, Dirtybird Records will be bringing their annual BBQ tour to three cities this year. For the first time ever, the Bay Area BBQ will take place outside of San Francisco, the label’s hometown, according to their website. The tour will be traveling to Austin, Texas on May 19, Oakland, California on June 2 and to Los Angeles, California, the fan-picked winning city, on July 8. Also returning this year is the “Best in Show” contest where fans compete in different areas, like totem decorating, dancing and best dressed, for a ticket to West Coast Campout in October. Time to start practicing! As is Dirtybird tradition, the label will be releasing their annual BBQ compilation soon. Keep an eye out on their social media pages for more information. Want to win a free ticket to one of the BBQs? If you live in Austin, Oakland or Los Angeles, next week is your chance! Dirtybird’s annual Easter Egg Hunt is back on March 31. 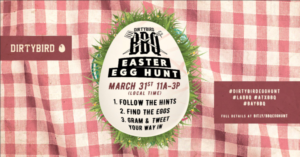 All you have to do is follow their social media accounts, watch for hints the day of, find the eggs and post a photo on Twitter or Instagram. Stay tuned to the label’s Twitter and/or Instagram for announcements. Tickets for all locations are currently available for purchase here. When buying tickets, make sure to grab a $20 BBQ plate too. You won’t regret it!